Keep health condition in check, it helps in safe driving. Having poor or bad health can cause unsafe driving. Road accidents happen likely because of health problems. Frequent drivers must keep health condition in check. If you are a frequent driver, you ought to keep your health condition in check as it helps in letting you drive safely. Having poor or bad health can cause unsafe driving. Road accidents are likely to happen because of health problems that people might not be aware of. 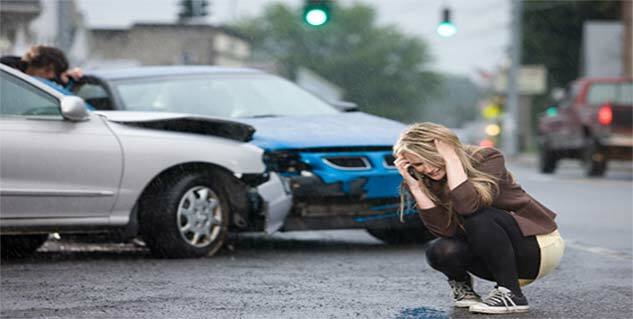 Following are some medical conditions that can lead to fatal road accidents. People with cataract in either one eye or both the eyes will come across difficulties while driving. Do you know why this happens? This happens because people driving might find it difficult to drive well as having cataract can make your vision very cloudy and unclear. People with cataract might find it very difficult to identify objects while driving especially during the night time. Until the cataract is corrected or treated, the unclear vision may have lethal consequences. Anxiety is a feeling of agitation and worry along with an abnormal or overwhelming sense of fear. It affects decision-making. While driving, one has to be very safe if he or she is assisting the wheels. Anxiety drastically affects ability of the driver to focus and think and this can cause accidents as well. There are some drugs that lead to impaired visibility while driving. These drugs make the driver clumsy, inactive and also cause him/her to doze off while driving. This can cause a deadly or fatal accident. This is one such symptom that affects things such as memory, attention, thinking, judgment and social ability as well. A person having dementia should avoid driving especially when alone. To reduce road mishaps, government and civil society should organise activities that engage participation of people assisting in healthy road safety.